We are passionate in transforming your celebration, from good to GREAT. We do that with personalized, custom-designed cakes and cupcakes. If you have an upcoming celebration and have your own ideas of a special treat for that special someone, we'd love to help. Personalization is the best 'ingredient' we have for special occasion that means everything to you. Whether it is birthday, wedding, anniversary, party, new born, full moon celebration or business events, you have a 'special message' to deliver and wanted to do it with lasting impact, don't settle with same old conventional treat, talk to us now! After all, it is YOUR thought that counts! ​Barath is 24! 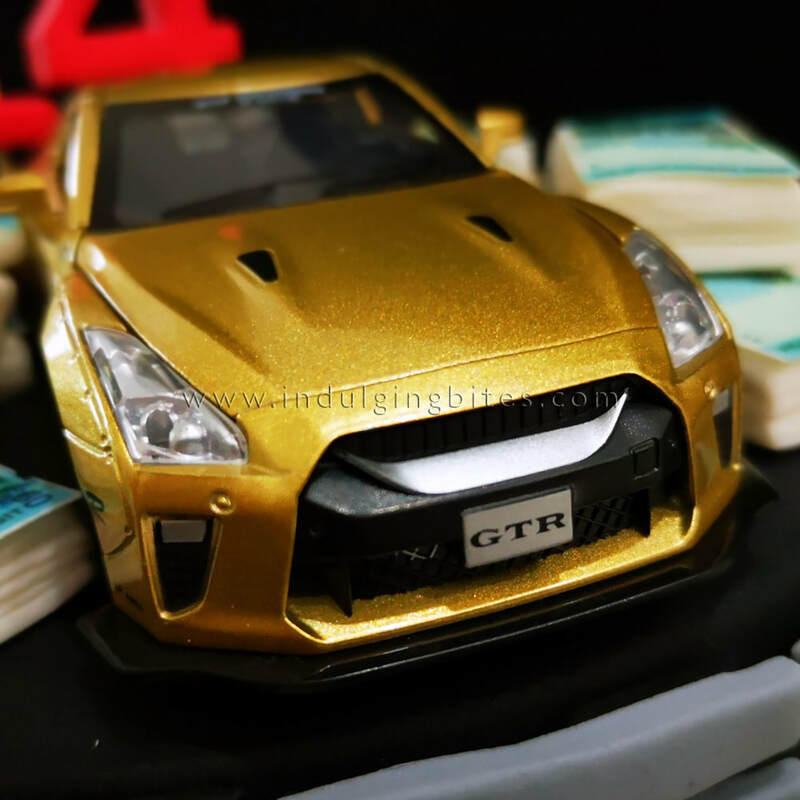 Sis Uma wanted to give him an awesome birthday surprise this year and the first thing that appears in her mind was none other than a Nissan GTR R35 sports car - Barath's favorite kind of sports car! So Sis Uma ordered a custom-made birthday cake featuring Barath's favorite car and Barath's jaw dropped seeing the love of his life on his big day...!